There are different Affiliate marketing company, some of which are better than the others. Affiliate marketing is simply defined as when an individual promotes the goods of other people online and in return gets a commission on each product sold. Affiliate marketing can be practised by online gurus as well as webmasters and bloggers. All you are required to do it just to register for an affiliate marketing company and you are good to go. I have created a detailed guide for Affiliate Marketing those who wish to start earning as fast as possible. Below are the top affiliate marketing companies that pay their partners well. Share a sale is a large affiliate company that possess more than 4000 merchants listed and over a thousand of them are exclusive to share a sale. Share a sale being an affiliate marketing company is very easy to use. The affiliate company covers various and diverse features which may range from an average commission, reversal rate, earnings per click and average sale amount. In view of these payments, it enables you to access a campaign and shows you were to be focused on. • Fast payment cycle: In respect to other affiliated companies, this one is quite different. Share a sale pays you on the 20th of every month. Share a sale disadvantage only includes the fact that the company still makes use of old reporting methods. They may include the dashboards which are difficult to navigate around. Commission Junction is a booming affiliate company that provides numerous range of famous and well-established organizations. The company acts as a middleman between the merchants who gives out the product to sell and the affiliates who do the job of marketing the product. In commission junction, you have the option to select different companies that sell a different product. • Provides for you a large platform: Since it has 3000 merchants thereabout, it is easy to add a site. Its only disadvantage is that it has long delays in payment. Click bank deals mainly with digital products like ebooks. It was amongst the first set of affiliate websites to originate. Your kind of business is not a limitation to joining click bank. On registration, you would be entitled to millions of eBooks which other people have put up for sale. The commission paid is very high in click bank. This Guide will help you make money from ClickBank without hassles. Its disadvantage is that you must reach the payment threshold first before you will get paid. Jumia is also categorized amongst the top affiliate marketing companies that pay their partners well. In Jumia, your income depends on your traffic, niche and the commission of the product you are selling or promoting. 5% commission goes to you if you refer someone to visit their Jumia store. To sign up for Jumia, you will have to get an active blog, bank account and e-mail address. 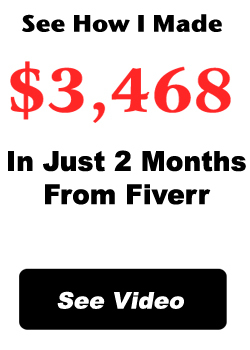 Then visit their website and sign up as an affiliate marketer. After signing up, Jumia will review your website based on the condition if you will be able to promote their product, then you get approved if you meet their condition. After getting approved, the product will be given to you to start promoting. Travelstart makes it possible for bloggers and confirmed travel agencies, web owners for them to sell flight tickets. Selling flight tickets is the main thing Travelstart engages in. The company gives partners the right to seek for customers to buy tickets from their websites. If you become a Travelstart affiliate marketer, you would be making money based on the number of tickets you sell. 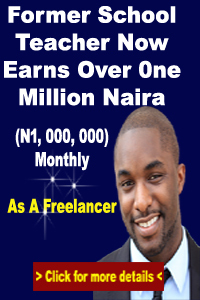 Konga is another affiliate marketing company that is making waves currently. To sign up for Konga, visit their sign up page and navigate to their registration page, then submit your details. Konga products can be promoted on social media platforms, Website and also offline. You get 1% for the least product you sell on Konga and 6% for the highest product you sell. Promoting their product can be done through banners for websites and text links for other forms. Amazon has over 1 and half million sellers and this has paved the way for affiliate marketers to exploit. The commonest way to promote Amazon products is through a blog or website. You can also select the product that you want to sell. In addition, reviews can be written on each product for faster sale. Income through Amazon affiliate marketing is unlimited. It is easy to use as well as very flexible, it also has large partner networks and it is well recognised. The only disadvantage of Amazon affiliate is that it has low commission rates attached to it.